A Physical Therapist (PT) is a health care professional who provides direct patient care to persons who have disorders of movement, mechanical, physiological and developmental impairments and functional limitations, whether caused by injury or disease, to help them achieve maximum physical function and mobility. Diagnose and manage movement dysfunction and enhance physical and functional abilities. Restore, maintain, and promote optimal physical function and optimal wellness and fitness and optimal quality of life as it relates to movement and health. Prevent the onset, symptoms, and progression of impairments, functional limitations, and disabilities that may result from diseases, disorders, or injuries. 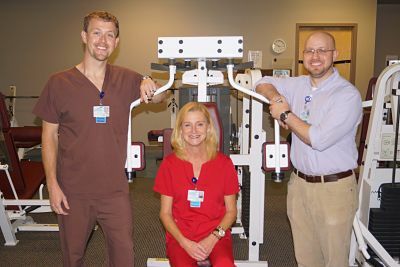 Physical therapy helps patients regain their range-of-motion, mobility, endurance, and strength. It can also help manage pain and promote healing. Our physical therapists and assistants work with physicians to evaluate the specific needs of each patient and create an individual treatment plan so that everyone receives the best therapy possible. In addition to the physical therapy services, we also provide athletic training for W.S. Neal, TR Miller, Jefferson Davis Community College, Sparta Academy, and Hillcrest High School. Athletic trainers are health care professionals who collaborate with physicians to optimize patient and client activity and participation in athletics, work and life. 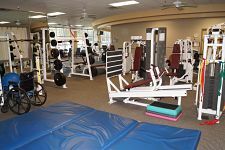 We also have a fitness facility that is open to the public. 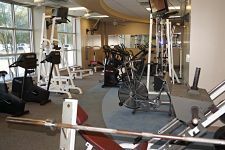 Our members are able to exercise in a non-intimidating manner with the peace of mind of having trained medical and fitness experts on-site to assist as needed. Those members who have undergone physical therapy are able to join at a discounted rate. We offer memberships to individuals, couples, and families. If you are interested, come in and see one of our friendly staff members for a tour.